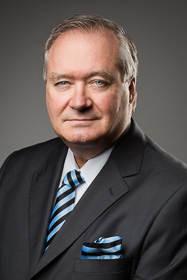 Peter L. Roy is the firm’s senior litigation counsel and is a founding partner in Roy O’Connor LLP. Peter is very experienced in all aspects of civil litigation involving both individual and class proceedings. He has particular expertise in complex corporate commercial and securities litigation, shareholder and derivative actions, Director and Officer Duties and Responsibilities, mining related litigation and Class Actions. He has been recognized by Benchmark Canada as a National Securities Litigation Star and an Ontario Securities, Class Action Litigation Star and one of the Top 50 Trial Lawyers in Canada. Peter is also a Fellow of the Litigation Counsel of America. The Counsel is an invitation only trial lawyer association composed of less than one-half of one percent of all litigation lawyers in North America. Peter had been a senior partner, litigation co-chair and executive committee member of one of Canada’s largest firms. Peter decided to join in the formation of our boutique litigation practice in order to be free of the myriad of conflicts that routinely arise in a large full service firm. Kinross Gold Corporation with respect to contractual and fiduciary claims arising out of the acquisition and disposition of Greek mining assets. Peter is a frequent contributor to professional development conferences. He has written and presented papers on complex and international litigation, electronic discovery and arbitration in Canada, Mexico and the United States. Peter is a frequent speaker on class action proceedings and trial practice.